With over 30 different Berlin car rental branches to pick from, renting with Sixt ensures you have maximum flexibility when starting your journey. If you arrive in the city by plane you can find us at both Tegel and Schönefeld airports, and we operate out of all the major railway stations and BVG hubs as well. Our branches are located in various popular districts, including Friedrichshain, Neukölln, Prenzlauer Berg and Charlottenberg. You can find us in the major tourist centers like Alexanderplatz too, so no matter where you are staying we are certain have a branch close by. Simply scroll through the drop-down list to get precise information about each of our Sixt Berlin car rental locations. The branch menu has a second tab where you can find an overview map of all the Sixt rental locations in Berlin. You can find the opening times and full addresses of each location on their individual branch page. All of our Berlin branches offer 24hr return making it easy for you to plan your journey with utmost flexibility. Use our easy online booking form or give us a call to make your reservation and take advantage of our affordable prices. Please note that while we strive to provide customers with the vehicle they want specific models are subject to availability at each branch. Whether you need a vehicle for an hour, a day or a month, we are here to help you. Not only can you choose from an incredible selection of vehicles with our Berlin car rental services, but we can gladly help you tailor your reservation to your wishes. Need a child seat or a one way replacement rental? No problem! Just select whatever optional services you require during the booking process. Besides providing our customers with services that cater to their mobility needs we are known for offering a first class driving experience at an economy price. Our fleet features models from high-end luxury brands such as BMW, Mercedes-Benz, Porsche, Jaguar, Aston Martin and Audi among others. If traveling with family or a group of friends our Berlin car rental branches can accommodate with roomy SUVs, minivans or our 9-seat passenger vans. At some of our Berlin locations you can even arrange a rental with a tow bar on many car categories. If you are arriving in Berlin by plane you will either arrive in Schönefeld on the eastern outskirts of Berlin or Wedding if you land at Tegel. Continue your journey quickly after collecting your rental from our Sixt counter. If traffic is on your side, it will take about half an hour with your rent a car to get from Tegel to Alexanderplatz and the Berliner Fernsehturm, its famous television tower. Editor's note: We recommend to use a GPS or Google maps on your smartphone when driving around Berlin. Prepare to drive a bit aggressively and don't be surprised that Berlin drivers are quick to use their horns. Be cautious as well of the numerous cyclists on the road, especially when turning. The center of Berlin is a low emission environmental zone, but when you rent a car with Sixt this is no concern as our vehicles are kept up-to-date and carry the necessary sticker. Parking on the street isn%u2019t recommended, especially in the city centre where it can be expensive. For example, an hour in Prenzlauer Berg can easily cost 3 euros, but just one euro in an nearby side street. Parking garages are a better alternative as they will offer more affordable daily rates. Berlin spans almost nineteen miles from East to West and has excellent transportation infrastructure. Traveling in your car rental, you can get from the Berlin ring-road to the city center in about half an hour, as long as the traffic is on your side. Rush hour in Berlin can bring traffic to a frustrating halt aside from the many construction sites that might also slow down traffic. Therefore, it often makes sense to use the A100 motorway, even it means making a bit of a detour. This way with your car rental you can reach outer-lying districts like Steglitz fairly quickly. If you took the train into Berlin then you will find yourself at the Hauptbahnhof, the main train station, which was newly opened in 2006. The station is centrally located, just a ten minute drive from Alexanderplatz, but unlike other cities the surrounding area is not as vibrant and lively as you may expect. With our selection of BMW convertibles, however, you can zip off and find yourself in more exciting parts of the city in no time. Two must-see highlights such as the Natural History Museum and the Hamburger Bahnhof are reached easily from the train station by foot. Other worthy sights like the Reichstag (5 min) and the Jewish Synagogue (6 min) are accessible with a short drive in your rental car.The Chancellery (popularly known as 'the Washing Machine') is on the way to the Reichstag. There are countless attractions you can visit and explore with your rental vehicle. Have fun in Berlin sightseeing at Museum Island and the Brandenburg Gate or head out on shopping trips.The Kastanienallee in Prenzlauer Berg, Münzstraße in the center, and Bergmannstrasse in Kreuzberg are all recommended. Berlin is the place to be if you enjoy arts and culture. Since German unification it has become the country's most exciting city thanks to the creative enterprises that have taken up residence in vacant buildings since the 90s. Famous clubs like Berghain and Watergate keep Berlin at the center of the electronic music world while the VIP filled Gallery Weekend demonstrates its relevancy in the contemporary art scene. Music festivals like the Carnival of Cultures and Fete de la Musique show off Berlin's multicultural side while annual festivals such as Tanz im August prove contemporary dance is also a big part of the city's cultural life. From alternative spaces to official cultural institutions you can find locations to see everything from performance art to international premiers. The former American listening station from the 50s should be at least familiar from photos thanks to its iconic five radar domes. Visit to the grounds and station that stretches 120 meters above the city can be arranged. Situated on the top of Teufelsberg you will enjoy exceptional views over Berlin. Afterwards you can head to the nearby lake, Teufelsee, which is perfect for swimming in the summer. Situated in in Grunewald, Teufelsberg offers the chance to partake in various leisure activities and is popular among hikers, cyclists and walkers. | Teufelsseechaussee 10, 14193 Berlin. 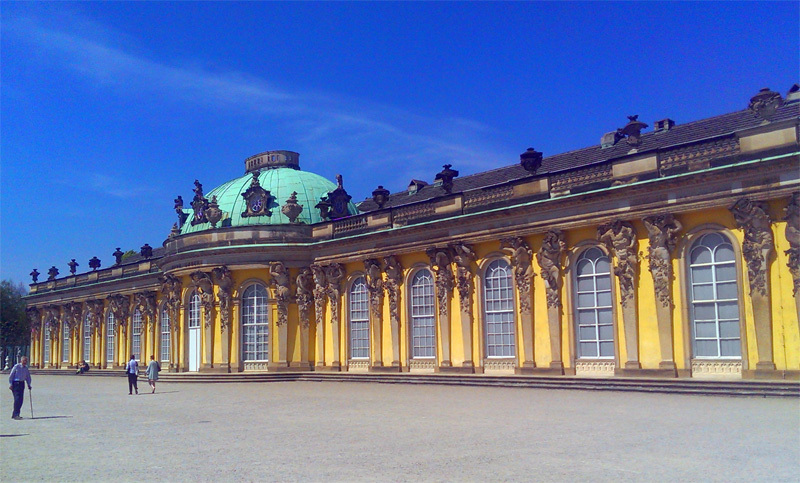 From Berlin, it is worth taking a trip to Potsdam to see Sanssouci Castle. One of the most well-known Hohenzollern castles in the Brandenburg capital its unique charm attracts over one million visitors every year. The park has an unsurpassable beauty and is ideal for walks on sunny days. The castle and park, often referred to as the Prussian Versailles, feature outstanding examples of design and architecture. | Maulbeerallee, 14469 Potsdam. In Belin you can have all kinds of experiences. Trade fairs such as the IFA and ITB are well-known far beyond the country's borders and attract many international visitors every year. 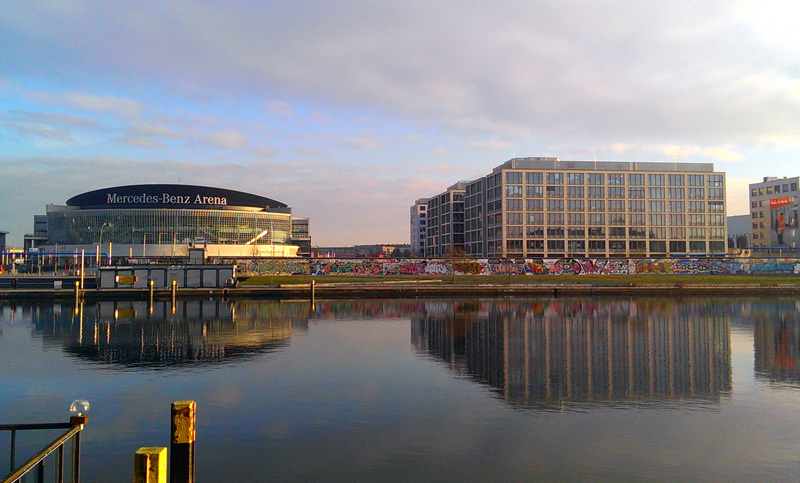 West Berlin is home to the main fairgrounds, Messe Berlin, which is located at Messedamm 22. In the energy sector, Vattenfall, based in Mitte, is the largest employer in Berlin. Siemens has several sites in the Spandau and Moabit districts while the Daimler sales headquarters are found opposite the East Side Gallery in Friedrichshain. Right next door is the Mercedes-Benz Arena, which after the Lanxess Arena in Cologne, is the largest indoor arena in Germany. Besides hosting the headquarters of some typical industry heavyweights, Berlin is also beginning to flourish in the tech industry with a rapidly growing start-up scene.